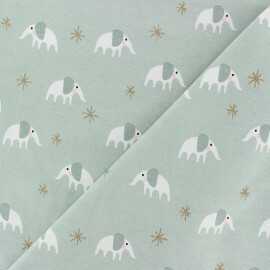 Very pretty Rico Design jersey cotton fabric with pretty elephant and gold star patterns on a mint green background! Give some peps and colors to your creations! 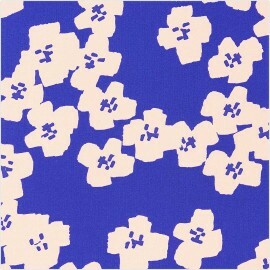 Use this beautiful and high-quality jersey cotton fabric for your accessories, decorations and clothes. 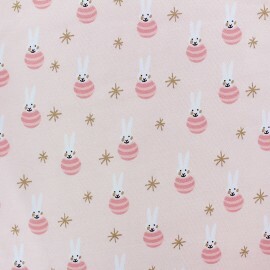 Very pretty Rico Design jersey cotton fabric with pretty rabbits and gold star patterns on a pale pink background! Give some peps and colors to your creations! 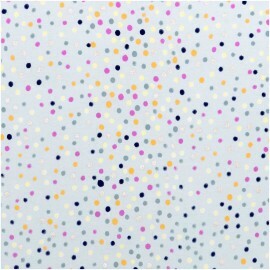 Use this beautiful and high-quality jersey cotton fabric for your accessories, decorations and clothes. 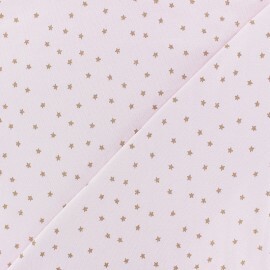 FVery pretty Rico Design jersey cotton fabric with pretty gold star patterns on a pale pink background! Give some peps and colors to your creations! 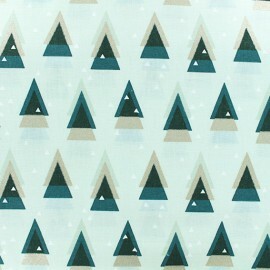 Use this beautiful and high-quality jersey cotton fabric for your accessories, decorations and clothes. Fall for the new Crafted Nature collection of Rico design ! 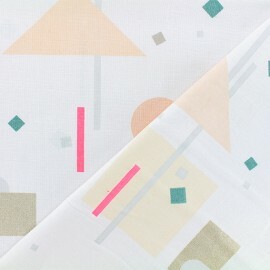 Very pretty Rico Design double gauze cotton fabric with pink and blue paint stains with neon pink details on a white background! Give some peps and colors to your creations! Use this beautiful and high-quality double gauze cotton fabric for your accessories, decorations and clothes. Fall for the new Crafted Nature collection of Rico design ! Very pretty Rico Design double gauze cotton fabric with small pink and mauve flowers with neon pink details on a white background! Give some peps and colors to your creations! Use this beautiful and high-quality Flower Meadow double gauze cotton fabric for your accessories, decorations and clothes. Fall for the new Crafted Nature collection of Rico design ! 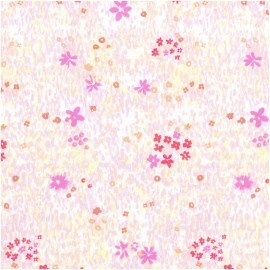 Very pretty Rico Design jersey cotton fabric with pretty colored and gold flower patterns on a pink background! Give some peps and colors to your creations! 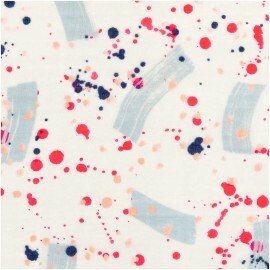 Use this beautiful and high-quality jersey cotton fabric for your accessories, decorations and clothes. Fall for the new Crafted Nature collection of Rico design ! 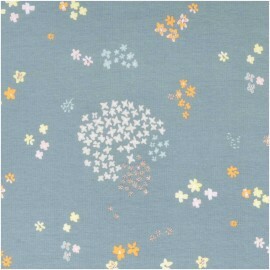 Very pretty Rico Design jersey cotton fabric with pretty colored and gold flower patterns on a bluish grey background! Give some peps and colors to your creations! 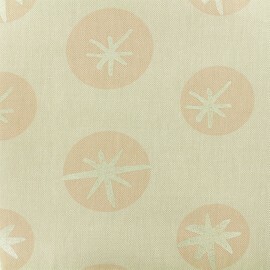 Use this beautiful and high-quality jersey cotton fabric for your accessories, decorations and clothes. Fall for the new Crafted Nature collection of Rico design ! 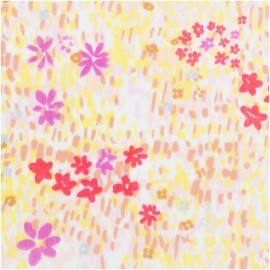 Very pretty Rico Design poplin cotton fabric with pretty lilac, yellow and gold flowers on a peachy pink background! Give some peps and colors to your creations! 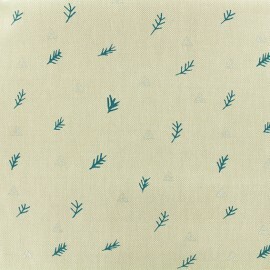 Use this beautiful and high-quality poplin cotton fabric for your accessories, decorations and clothes. 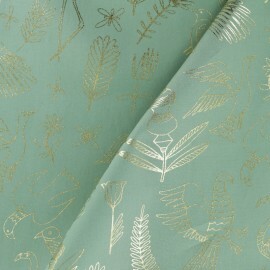 Fall for the new Crafted Nature collection of Rico design ! 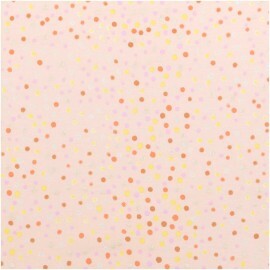 Very pretty Rico Design poplin cotton fabric with pretty lilac and neon pink dots like flower petals in the wind on a light yellow background! Give some peps and colors to your creations! 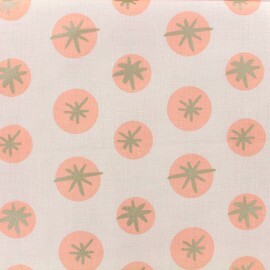 Use this beautiful and high-quality poplin cotton fabric for your accessories, decorations and clothes. 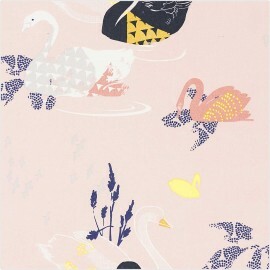 Fall for the new Crafted Nature collection of Rico design ! 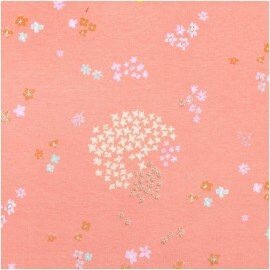 Very pretty Rico Design poplin cotton fabric with small pink and mauve flowers with neon pink details on a white background! Give some peps and colors to your creations! 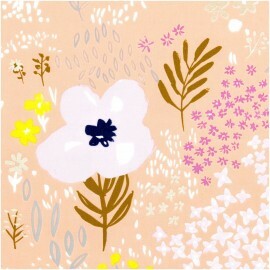 Use this beautiful and high-quality Flower Meadow cotton fabric for your accessories, decorations and clothes. 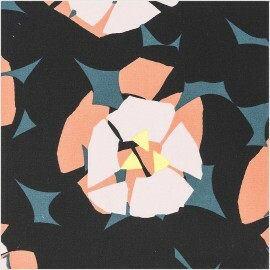 Fall for this amazing Rico Design cotton fabric with large amazing pink and black flower patterns on a green background! 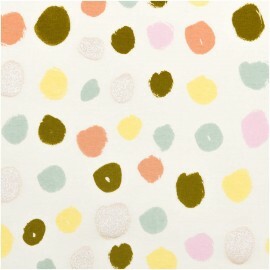 Fall for this Okina Hana collection and give some peps and colors to your creations! Use this beautiful and high quality cotton fabric for your accessories, decorations and clothes. 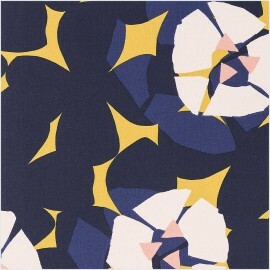 Fall for this amazing Rico Design cotton fabric with large amazing pink and blue flower patterns on a yellow background! Fall for this Okina Hana collection and give some peps and colors to your creations! 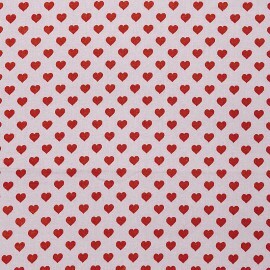 Use this beautiful and high quality cotton fabric for your accessories, decorations and clothes. 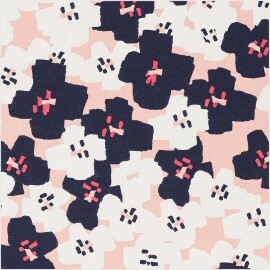 Fall for this amazing Rico Design cotton fabric with large amazing light pink flower patterns on a blue background! Fall for this Okina Hana collection and give some peps and colors to your creations! Use this beautiful and high quality cotton fabric for your accessories, decorations and clothes. Fall for this amazing Rico Design cotton fabric with large amazing blue and cream flower patterns on a light pink background! Fall for this Okina Hana collection and give some peps and colors to your creations! Use this beautiful and high quality cotton fabric for your accessories, decorations and clothes. 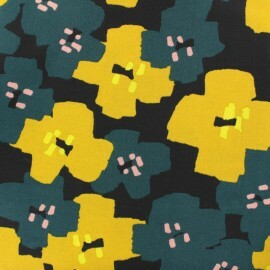 Fall for this amazing Rico Design cotton fabric with large amazing green and yellow flower patterns on a black background! Fall for this Okina Hana collection and give some peps and colors to your creations! Use this beautiful and high quality cotton fabric for your accessories, decorations and clothes. Enjoy this irresistible collection by Rico Design. Choose The Alpaca Collection cotton fabric with cute stripes and design your very own accessories and clothes. Enjoy this irresistible collection by Rico Design. 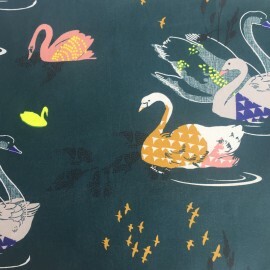 Choose The Alpaca Collection cotton fabric with a cute bird print and design your very own accessories and clothes. Enjoy this irresistible collection by Rico Design. 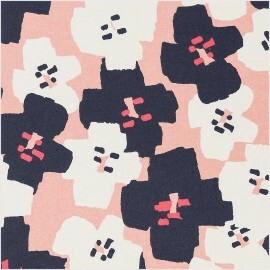 Choose The Alpaca Collection cotton fabric in Mountain pink color and design your very own accessories and clothes. Enjoy this irresistible collection by Rico Design. 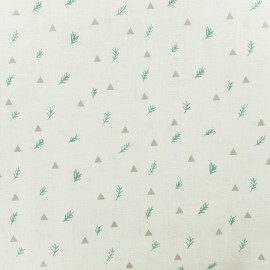 Choose The Alpaca Collection cotton fabric in Mountain grey color and design your very own accessories and clothes. 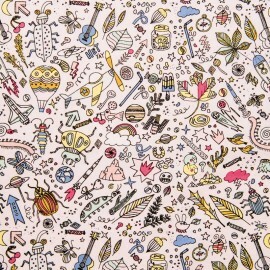 Move to a technicolor life with this jersey cotton fabric with this colorful pattern, a mishmash of insects, rockets, balloon, planets... ! 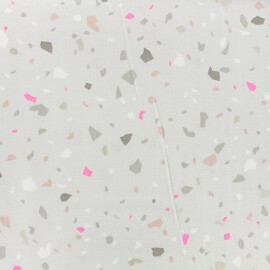 Use this beautiful printed powder pink jersey cotton fabric for your clothing or decorations creation, you will not regret it! 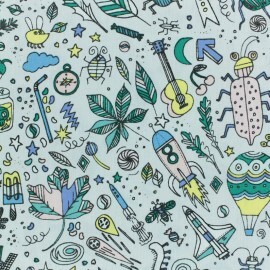 Move to a technicolor life with this jersey cotton fabric with this colorful pattern, a mishmash of insects, rockets, balloon, planets... ! Use this beautiful printed light grey jersey cotton fabric for your clothing or decorations creation, you will not regret it! 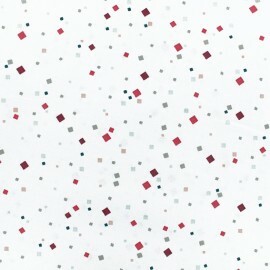 Fall for this Jersey cotton fabric with patterns of the famous game of our childhood. Good memories guarantee with all these colorful marbles ! Use this beautiful printed light grey jersey cotton fabric for your clothing or decorations creation, you will not regret it! 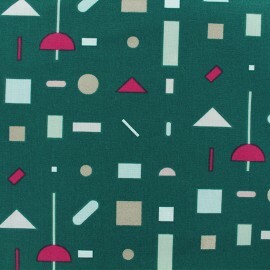 Fall for this Jersey cotton fabric with patterns of the famous game of our childhood. Good memories guarantee with all these colorful marbles ! 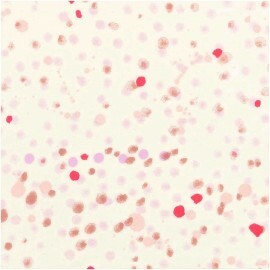 Use this beautiful printed powder pink jersey cotton fabric for your clothing or decorations creation, you will not regret it! 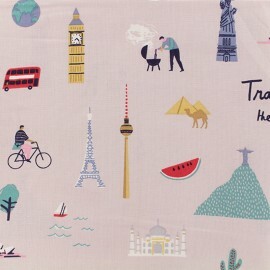 Fall for this 100% cotton Poplin fabric with patterns of the famous game of our childhood. Good memories guarantee with all these colorful marbles ! 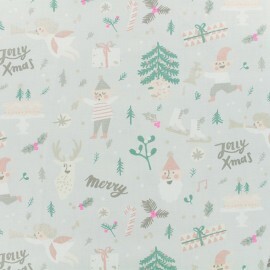 Use this beautiful printed light grey cotton fabric for your clothing or decorations creation, you will not regret it! 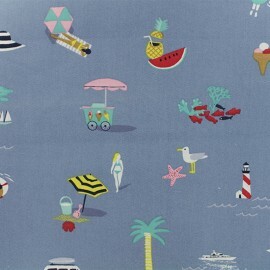 Fall for this 100% cotton Poplin fabric with patterns of the famous game of our childhood. Good memories guarantee with all these colorful marbles ! 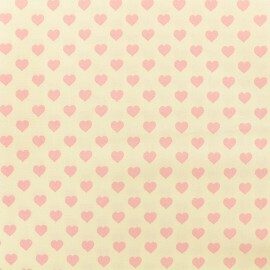 Use this beautiful printed powder pink cotton fabric for your clothing or decorations creation, you will not regret it! 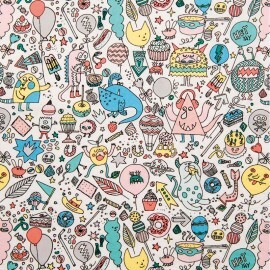 Move to a technicolor life with this 100% cotton Poplin fabric with this colorful pattern, a mishmash of monsters, balloons, sweets, cakes... ! 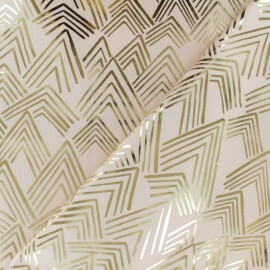 Use this beautiful printed fabric with neon hints for your clothing or decorations creation, you will not regret it! 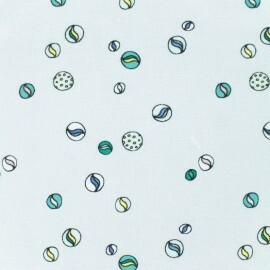 Move to a technicolor life with this 100% cotton Poplin fabric with this colorful pattern, a mishmash of insects, rockets, balloon, planets... ! 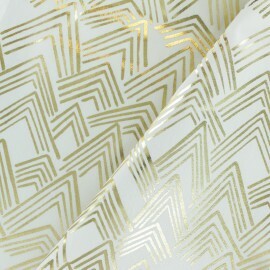 Use this beautiful printed fabric with a light grey background for your clothing or decorations creation, you will not regret it! 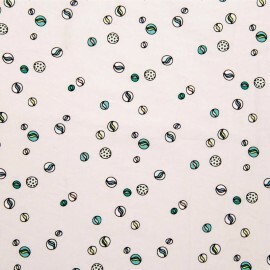 Move to a technicolor life with this 100% cotton Poplin fabric with this colorful pattern, a mishmash of insects, rockets, balloon, planets... ! 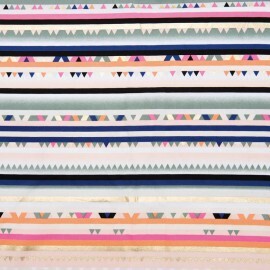 Use this beautiful printed fabric with neon hints for your clothing or decorations creation, you will not regret it!